Princess and her baby brother are headed to England for a fun trip. Only drawback? 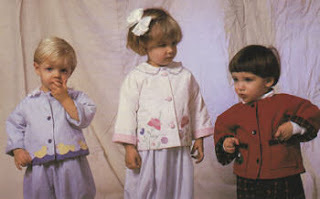 They had no coats. This time of year is chilly and damp in England. Mimi to the rescue. As luck would have it, a friend gifted me with several yards of wool while I was at convention. I set to work. 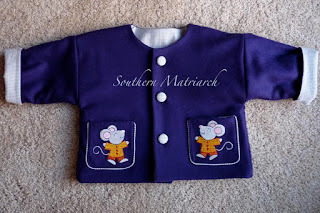 I used Children's Corner Robin's Little Jacket for baby brother's jacket. I did not quilt the jacket. I used the deep purple wool and lined it with grey gingham. For added warmth it is interlined with flannel. 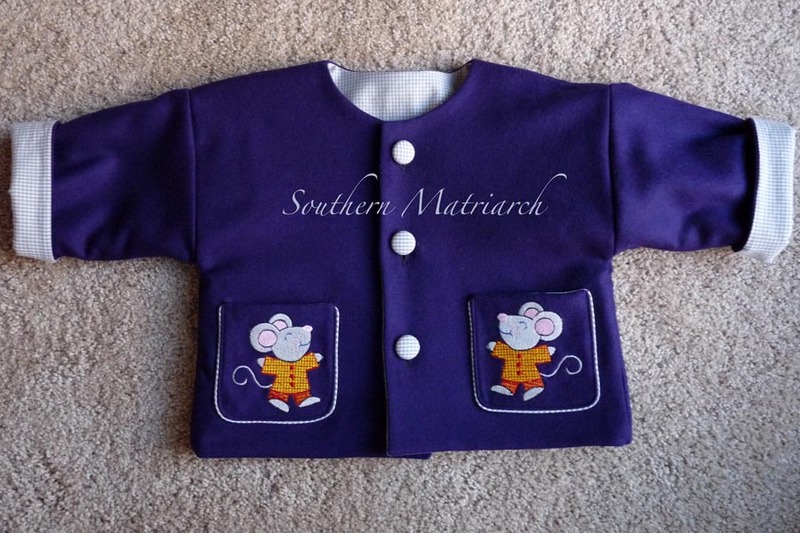 The pockets are embroidered with the sweet mouse from the Pajama Party set from Design by JuJu. I modified the pocket from the original pattern design. I rounded the lower corners of the two pockets and added piping around the outside edges. This little jacket goes together in nothing flat. 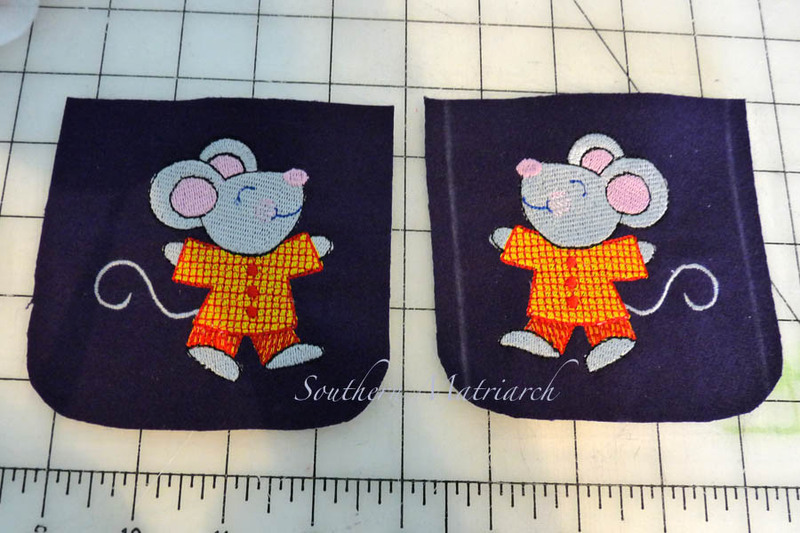 It took longer to align the two mice to make sure they were mirror images and aligned with the same orientation on the pockets than it did to put the entire jacket together. I'll do a post on that in a day or two. Now keep your fingers crossed that the box arrives in time. That is just adorable!!! I know he will love it, and it is sure to keep the little guy warm. So nice of you just to "whip up" a nice wool coat!!! Bravo! What a sweet little jacket, Martha. Mimi's done good! Cute and cosy , love it! Love those little mice! He will be so warm, and wrapped in your love!